As I type this there’s yet another brutal weather front going over. The wind is howling and the rain lashing both pressing & clawing at the windows like hungry sea monsters. The transition into Autumn has crashed down like a saturated ceiling. 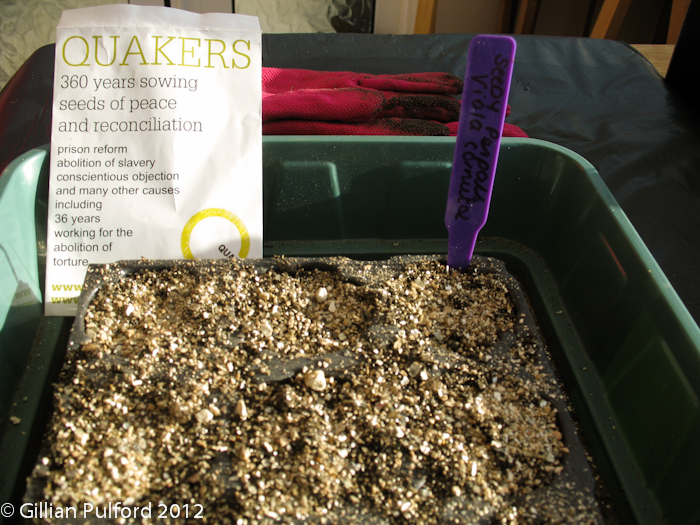 The seeds I received from Lucy are safely tucked up indoors awaiting a new year and some warmth. However, all has not been quiet here at Legge Towers on the Seedy Penpals front. Mel & I have worked on a Questionnaire for those of you who took part in the last exchange. We will email this very shortly. Mel has done great outreach work in the Netherlands and far beyond: go have a read. Here, I have saved seeds from some of our plants, especially the heritage varieties. We’ve saved seeds from our (former Heritage Seed Library) Dragon’s Tongue dwarf bean, achocha and sunflowers for example. We’ve also had a great year in propagating oca (oxalis tuberosa) seedlings. These may just be the crosses that will be the next generation of oca that doesn’t need to wait until after the autumn equinox to make tubers. We’ll find out next year. Gillian sent me a letter about her Seedy Penpals experience which she asked me to blog for her. I do this with pleasure. You can find Gillian as the Impatient Gardener on Twitter. 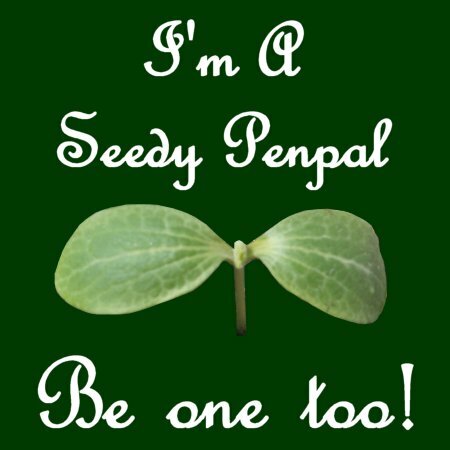 Just a letter to update you on my #SeedyPenpals experience. My seedy pen pal was the lovely Kate Mortimer; she sent me a wonderful parcel of seeds including: Green Manure, Radish “Hilds blauer Herbst und Winter”, Viola bambini mixed, Godetia and corn marigolds. 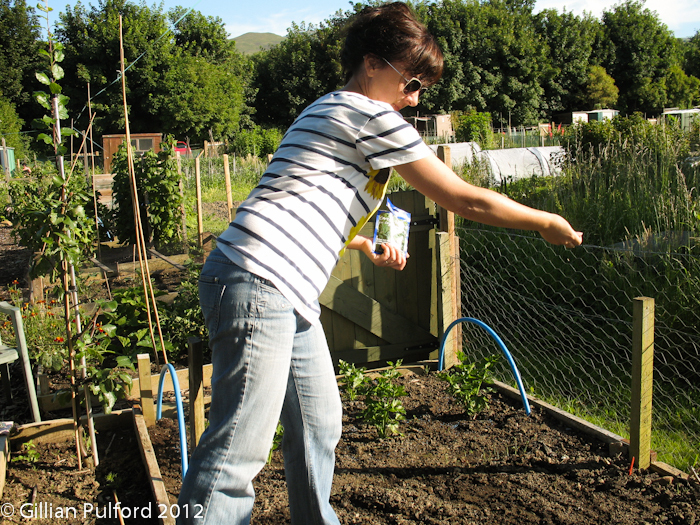 As I have an allotment here in Llanfairfechan, I was quite keen to start with the green manure which has been something I’ve been meaning to try. So I have been busy sowing this as gaps arise. Apart from a few tussles with local riff raff (rabbits) this is going great guns. 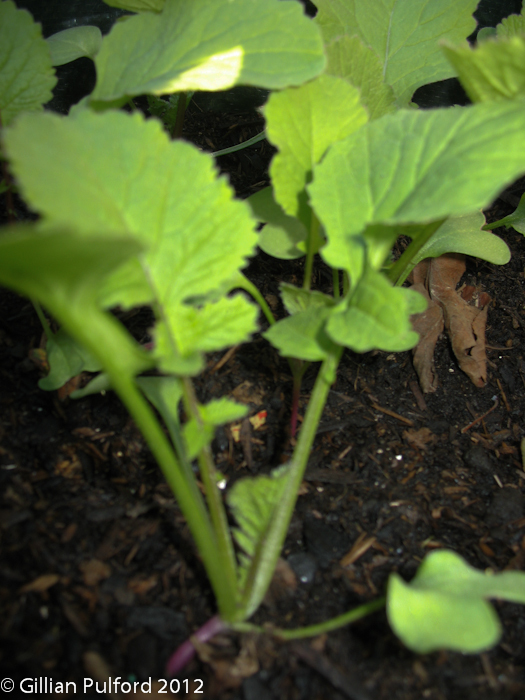 I’ve also sown my radish, which is almost ready. And the viola, Kate was given the viola seeds from The Tatton Hall RHS show at the Abolition of Torture Garden. I look forward to these, and feel that I must make the effort to visit the Tatton Hall show myself next year. On my allotment I mainly grow veg, but I will shortly sow some of the Godetia sent by Kate to hopefully bring some early colour and help bring the bees in to do their stuff! 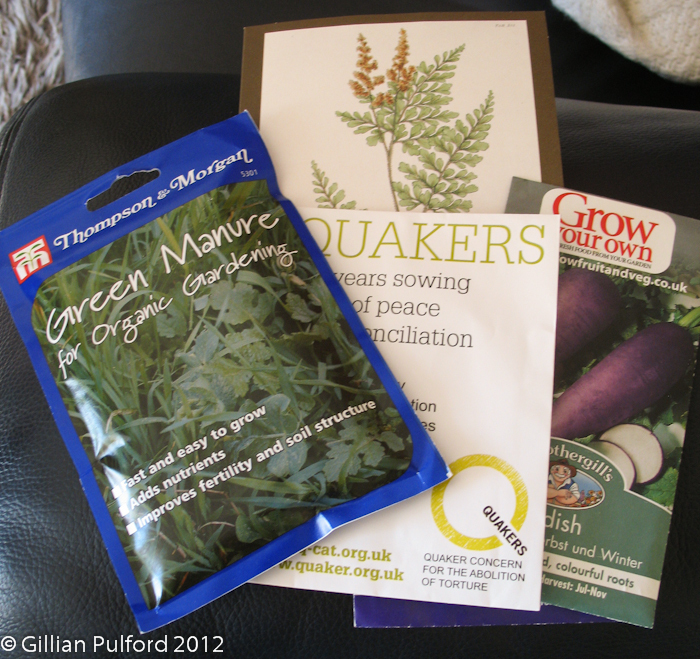 I’m really pleased with my seeds and feel that Kate sent me an excellent mix. I will be really interested to see the result of the green manure and its affect on my soil which is heavy clay and real effort to dig. Anything that helps break it up has to be a bonus. After reassuring nearest and dearest that I wasn’t corresponding with unscrupulous characters but in fact sowing seeds, #SeedyPenpals has been a brilliant experience which has encouraged me to sow seeds I would have not tried before. It has also put me in contact with some lovely people who share some wonderful tips and advice for growing.